Riyadh, Baghdad, Washington – The Custodian of the Two Holy Mosques King Salman bin Abdulaziz Al Saud made on Thursday a telephone call to Iraqi Prime Minister Haidar al-Abadi, during which they reviewed bilateral relations between both countries in various fields and ways of enhancing and developing them through the Saudi-Iraqi Coordination Council. The King’s phone call is the second to al-Abadi in a week, after he had called the prime minister last Sunday to assert Saudi Arabia’s support for the unity, security and stability of Iraq. The Saudi-Iraqi talks came as Washington announced that Secretary of State Rex Tillerson would kick off on Friday a tour that involves Saudi Arabia, Qatar, Pakistan, India and Switzerland. A statement released by the State Department said that Tillerson would first travel to Riyadh, where he would take part in the inaugural Coordination Council meeting between the governments of Saudi Arabia and Iraq. The Secretary will also meet with various Saudi leaders to discuss the conflict in Yemen, the ongoing Gulf dispute, Iran, and a number of other important regional and bilateral issues. Concerning the latest developments in Iraq, an Iraqi Court issued on Thursday an arrest warrant for Kurdish Vice President Kosrat Rasul for publicly insulting Iraqi forces. 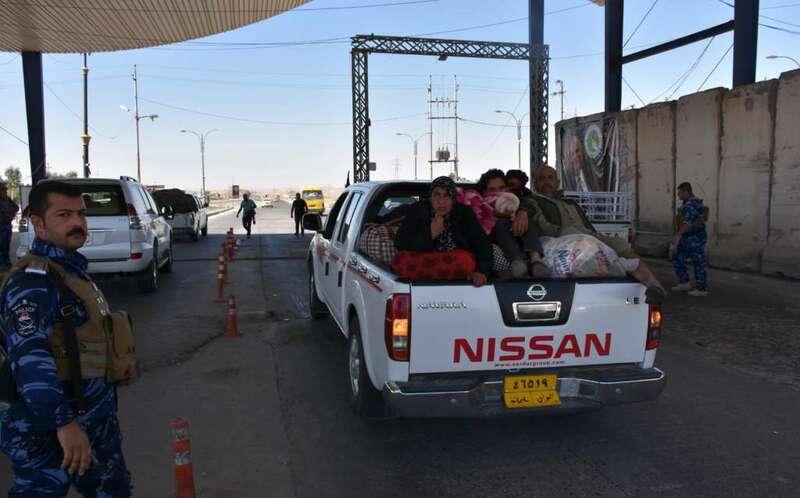 Meanwhile, Kurdish officials confirmed that around 100,000 Kurds were displaced from Kirkuk as they fear revenge after the Iraqi forces controlled the city.